The Motability Scheme is a charity commited to enabling those with disabilities to remain independent by providing a variety of vehicles that can be fitted with or without useful adaptations. Gatwick and Redhill Honda offer a range of models with excellent monthly payment plans which also includes RSA Mobility insurance, breakdown cover and much more. 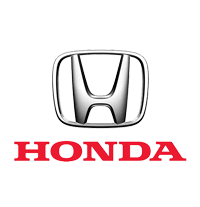 Contact Gatwick and Redhill Honda today and speak with one of our Motability specialists. Alternatively, fill out an enquiry form or use our friendly Live Chat service to get in touch.